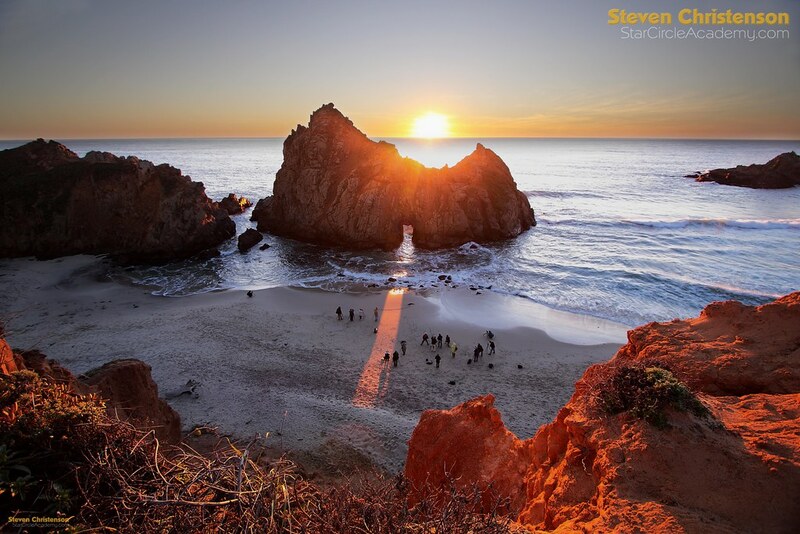 Steven’s image: “Photon Worshippers” featuring sunset along the rugged Pacific Coast in Big Sur, California was awarded winner of the International Astronomy Photographer of the Year contest conducted by the Royal Observatory of Greenwich, England. The photo won in the category People and Space. For details see the competition’s Winners page. A two man film crew from Buzz Films, Ltd, London flew out to interview Steven and created a 100 second video about his work. Steven: in the right spot from Royal Observatory Greenwich on Vimeo. Subsequent to the win, Steven was also featured on the ABC 7 News in the San Francisco Bay Area. And on KQED public television. This is the winning photo. 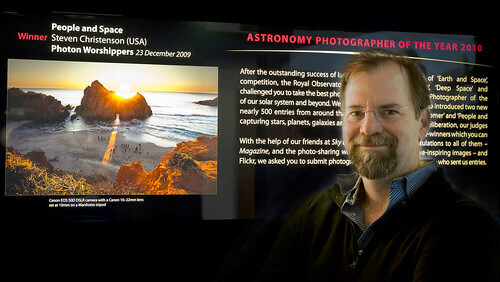 The photo and video were featured in the Royal Observatory, Greenwich, England until February, 2011. Want to know more about Steven? Check here. Looking to see more of Steven’s images? Try here. Want to license an image? In 2011 and again in 2012 I have had the pleasure of having at least one of my submissions included in the “short list” of finalists. … And I was selected as Runner Up for the People and Space Category in 2012!